Normally, the health and wellbeing of our children should be our primary concern. Mothers are extremely careful even during pregnancy, and afterwards, they avoid everything that may have a detrimental effect on the health of their kids, reduce their exposure to dangerous toxins, and try to protect them even from tobacco smoke. However, it seems that sometimes we are not well informed and unintentionally let some products negatively affect their wellbeing. Namely, this is the case of the baby care products by Johnson & Johnson. Apparently, this huge manufacturer of baby care products uses numerous components which are not health- friendly and may cause many severe issues. Namely, the immune system of your baby is substantially delicate. If you bath your child in bubbles, you will avoid the exposure to bugs and pathogens and thus stimulate their immunity and the growth of their system. Yet, if the bath of your baby is rich in artificial ingredients and toxins, it may make them susceptible to ill health, autoimmune issues, and chronic illnesses. Moreover, Johnson & Johnson’s products challenge the immune system of your baby. They irritate their tender skin, stimulate overzealous immune responses, and weaken their immune system, which further on makes them prone to diseases and pathogens. If you examine the list of ingredients in their products, you will find numerous strange substances, whose names cannot be even pronounced right. The baby shampoo produced by Johnson & Johnson contains one extremely harmful cancer- causing ingredient, called Quaternium-15, which releases formaldehyde, another known carcinogen that can accumulate on the skin of your child over time. Furthermore, the products of this manufacturer also include another toxin, 1,4-dioxane. According to the Environmental Protection Agency, this toxin causes vertigo, skin irritations, liver damage, headaches, and drowsiness. Johnson & Johnson finally admitted this and reported that they are currently working on the elimination of these toxic compounds from their products sold in America, but no one can know with certainty the duration of this process. However, look at it this way: would you continue buying their products even though they can be so harmful, and financially support this company that knowingly posed a risk to your health and the health of your dearest ones? Johnson & Johnson products which do not contain toxins are sold in Denmark, Norway, Finland, Sweden, Japan, and South Africa. Apparently, parents in America will need to wait for who known how long to purchase these safe alternatives. Yet, you may also decide to replace their products with other, more reliable variants. For instance, you can start using the baby products from Burt’s Bees, which are completely healthy, although some of you may dislike their smell. Another favorite company from the US is Earth Mama Angel Baby, which produces baby products only, in a completely safe and healthy way. You may also want to try the natural baby products made by Little Twig, Aveeno, BabyGanics, or California Baby. Our aim is to support you in your right to be completely informed and decide for your choices on your own. The health of your child is invaluable, so you should try everything and provide the best products you can find to stimulate a healthy growth and development of your baby. 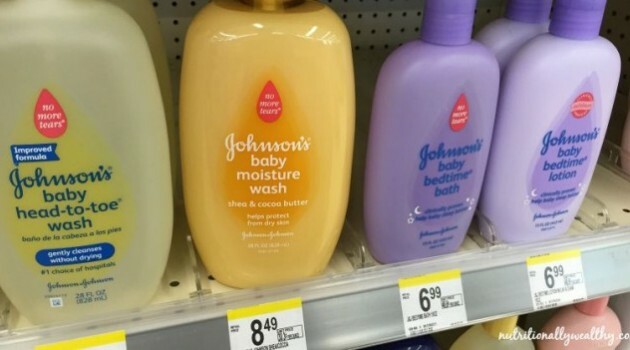 Being aware of the unhealthy ingredients in the baby products by Johnson & Johnson, it is advisable that you replace them with some healthier and safer alternatives.